Eddie MacDonald’s nineteenth place finish in the Sylvania 125 presented by Lowe’s at New Hampshire International Speedway was a result of contact with Mike Gallo on lap 55 that sent the Rowley, Mass. driver crashing into the turn four-wall. “Mike Gallo doesn’t race too much so he forgets when someone is on the outside and can’t run all the way up to the wall. Maybe if he comes and runs a few more races he’ll figure it out. 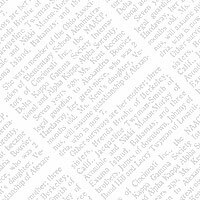 He didn’t care that anyone was there and drove me into the wall,” fumed MacDonald. 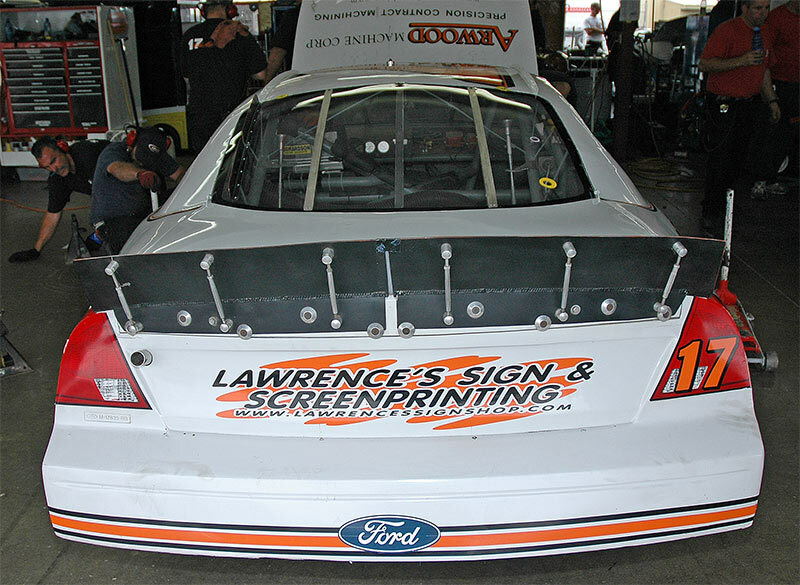 The HRM Motorsports Ford was on a rail after the competition yellow on lap 35 and was the fastest car on the track. 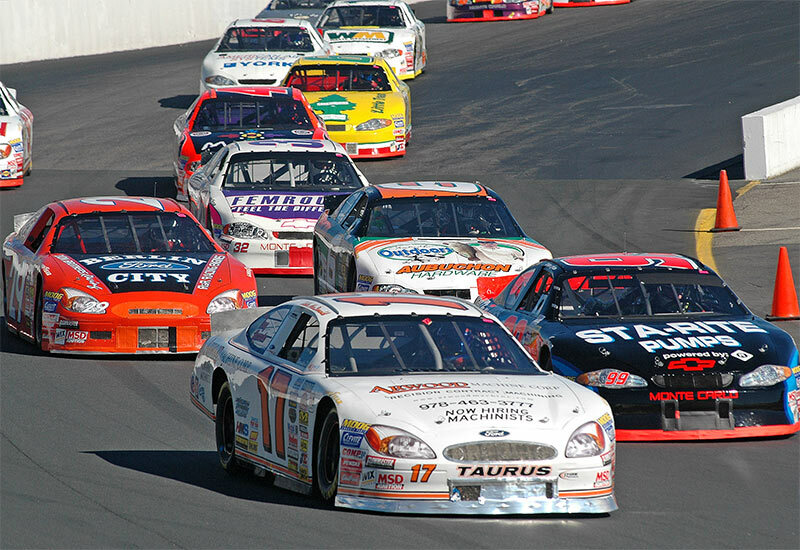 Starting 10th on the lap 42 restart, MacDonald powered his way to the front, finding himself in fifth place two laps later. After another caution and restart on lap 50, he passed both Ryan Moore and Paul Wolfe to take the third spot and set his sights on the second place Gallo. 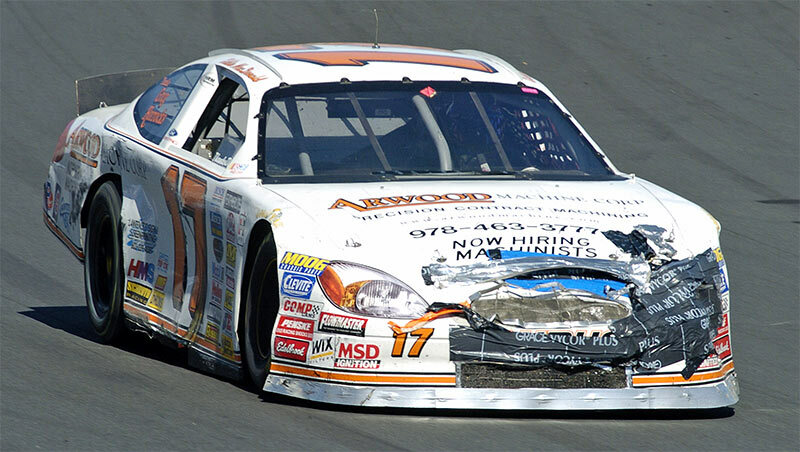 MacDonald was able to run the outside groove and tried to make the pass but Gallo moved up the track pinching the #17 into the wall causing heavy damage to the right front suspension. 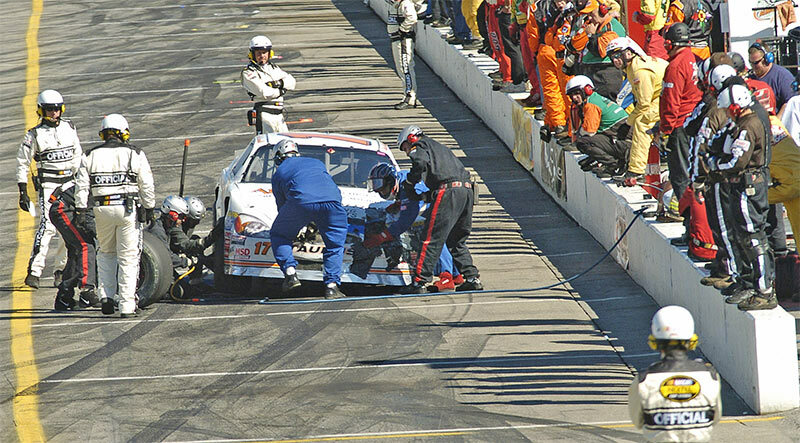 After numerous pit stops the crew was able to get the car back on the track but the damage was too severe to allow MacDonald to challenge for the lead and had to settle for 19th. The team was very pleased with the car by race time considering the way the week started out. 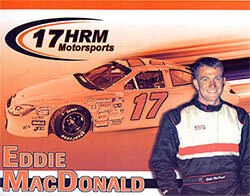 On Thursday, the #17 was so loose that MacDonald could hardly drive it around the Magic Mile. He was 27th fastest and the crew scrambled to tighten up the ill-handling machine for qualifying. The effort was successful as MacDonald posted the tenth quickest time and he gave the credit to the crew. “That’s not too bad, starting 10th out of 39 cars. Chris Raymond and the guys really did a great job to get this car to handle the way it did. It was a little loose but compared to what it was, it was a huge improvement,” said MacDonald after Thursday’s qualifying run. When the heavy Saturday rain postponed the race until Monday morning the team was still optimistic the car would be strong and they were correct. MacDonald was able to maintain his position and waited for the caution on lap 35 to make adjustments. Things went according to plan but bad luck struck again as it has many times this season. 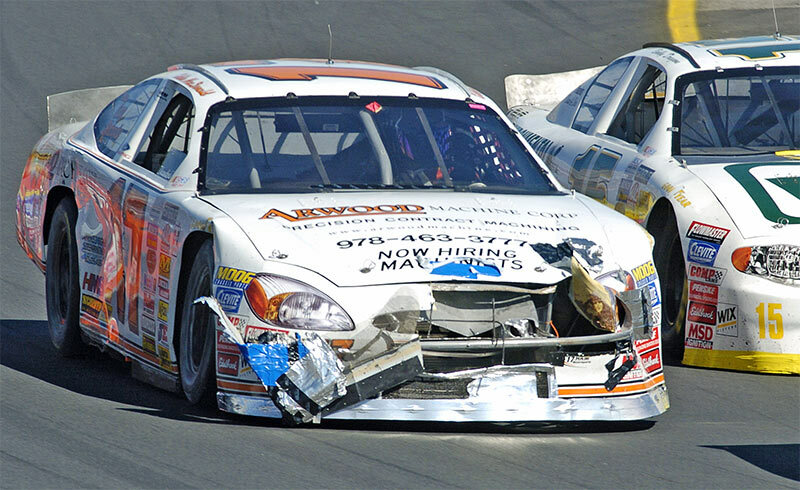 “ I feel so bad for the crew, they worked their tails off to give me a strong car and it was perfect. It handled great and I could go inside or outside. It was the best handling car I’ve had all season. Even though it didn’t work out today as we planned, I want to thank the crew for their hard work. These guys are great,” said MacDonald finding something good to say after a disappointing day. 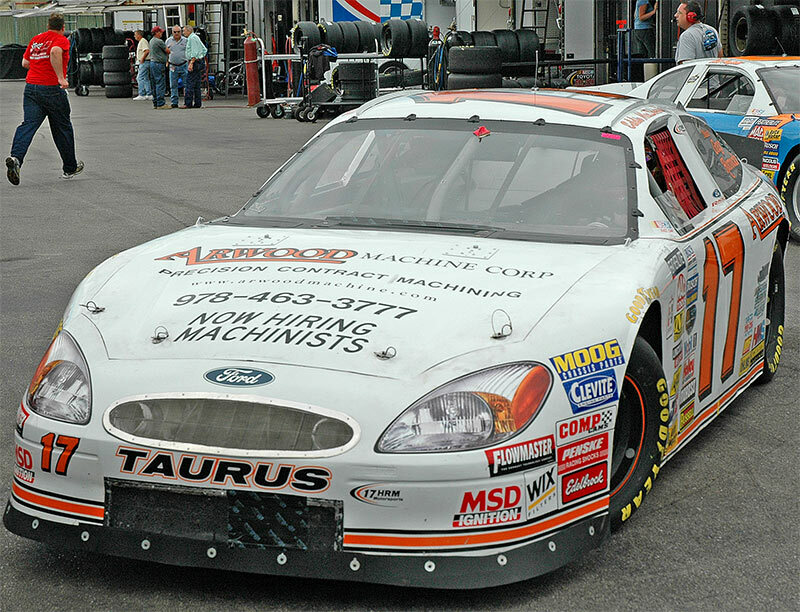 “ I also wanted to thank Arwood Machine Corporation of Newburyport for its sponsorship this weekend. It is a costly race for us to run, so we really appreciate the support we received from the company,” said MacDonald. 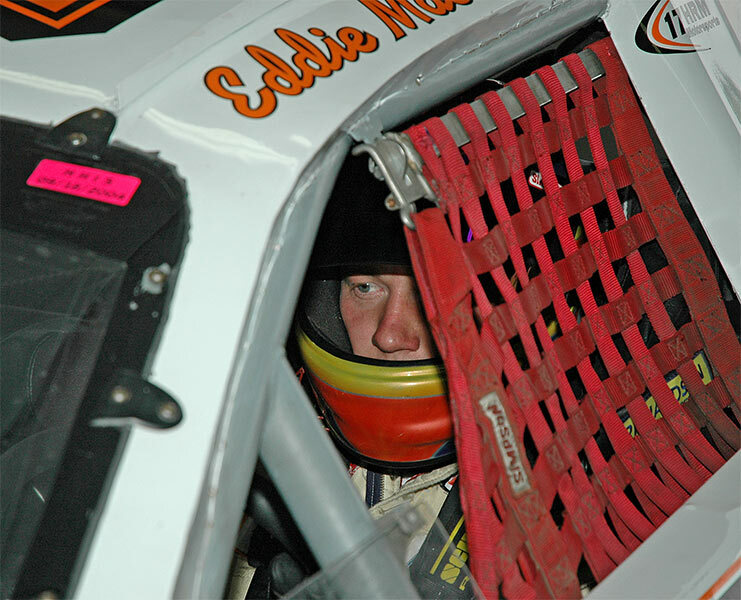 Despite the set back, MacDonald and the team are hoping for a strong showing in the MBNA America 150 Busch North Series race at Dover International Speedway on Friday September 24th.